You may also visit us on Facebook, YouTube or email us using the links below. 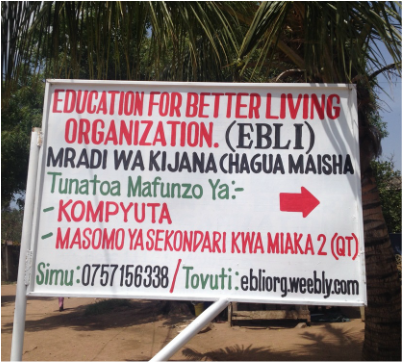 Karibu sana Education for Better Living Organization. You are most welcome.